Found this guy on EBay and contacted him directly. He has a few handles still on EBay but he is new to this stuff and very talented. 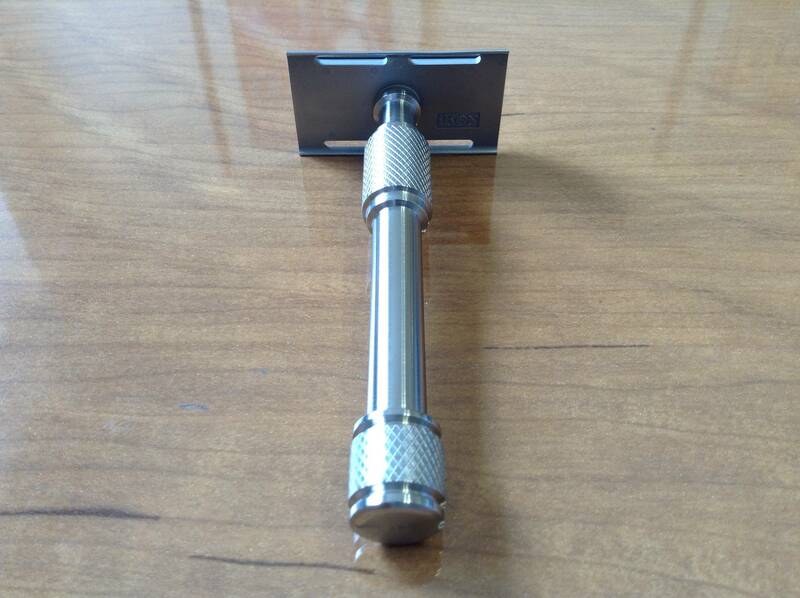 Love the one that is SS and Brass and will be using this on the new brass General when it comes out. The one on my Rx is the adjustable handle. The end can be screwed out to make it longer. Very cool design. PM me for his contact info. The Brass and SS handle is currently on my Blackbird OC. Beautiful handles. I did pm for the info but found it on my own. He has about 7 different styles all very nice but a bit pricey. However, you can make an offer. It looks like Wolfman quality. I noticed his stuff a couple of weeks ago. Got to be honest. The prices scared me off. Neat stuff. I talked to him at length about his prices and that's when he lowered them to $125. He was basing his original prices off of the Wolfman handles and razors that he saw posted. I explained to him why and how people were selling the Wolfman stuff for such high prices. The quality of his handles are top notch and he can be very creative if asked. He's also a good guy for taking so much advice so quickly. Definitely has my support!! 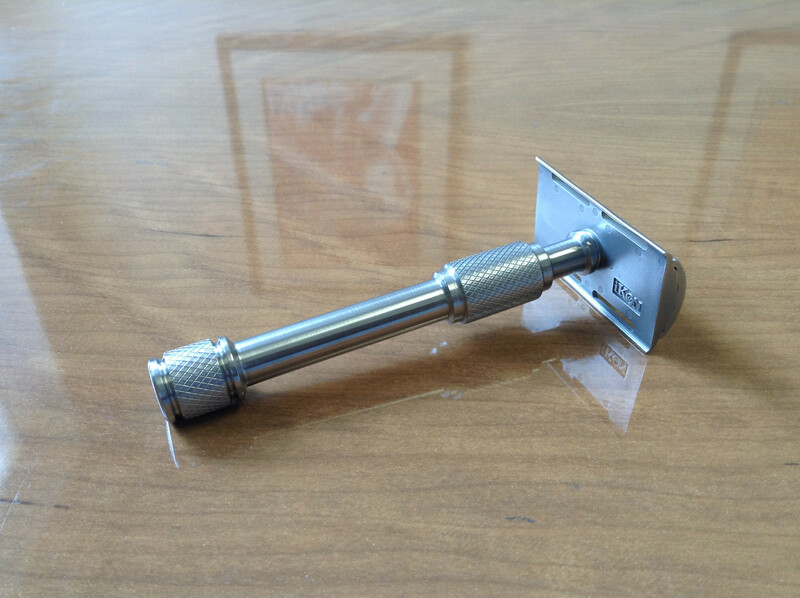 Seriously though, always good to have more makers in the wet shaving space. I picked up a couple of Pinion Handles (the craftman's last name is Pinion) in the style below and I really like them. They weigh about 54 grams and they pair up well with my stainless iKon Standard, coming in at 84.5 grams with a blade loaded in the head. 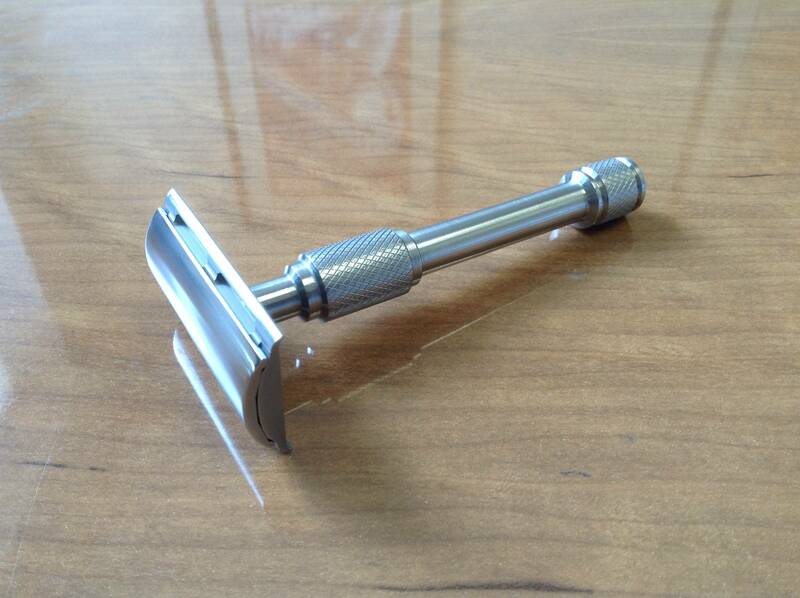 The ergonomics, design and overall balance are great, not to mention the craftsmanship which is beautifully done. 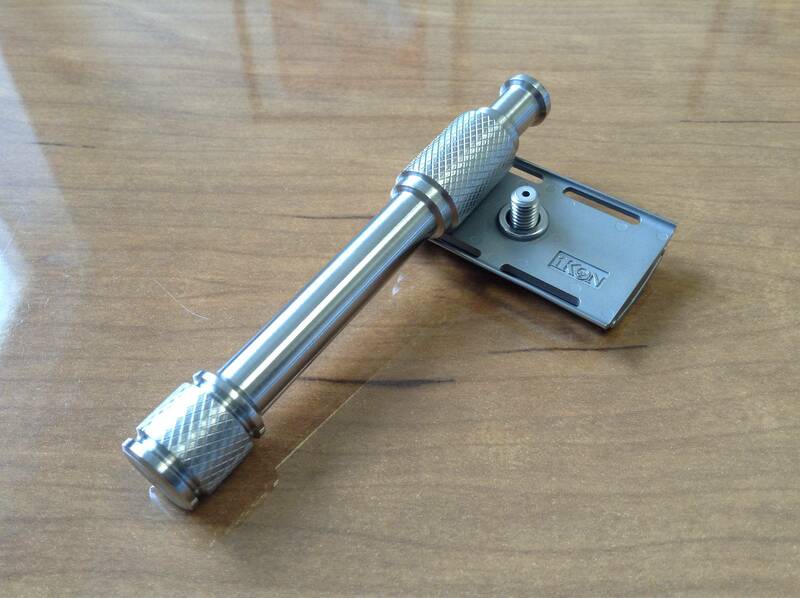 If you need a high quality, artisanal razor handle that is made in the US then check these out. I don't think you will be disappointed.